The town of Kawerau was founded in 1953 to service the Tasman Pulp and Paper Mill. Since then the town has expanded and diversified into an attractive and vibrant town. The Rotary Club of Kawerau was chartered in 1961 and has worked closely with the Kawerau Council in the development of the town. The Stoneham Walk follows the Ruruanga stream through attractive gardens close to town. 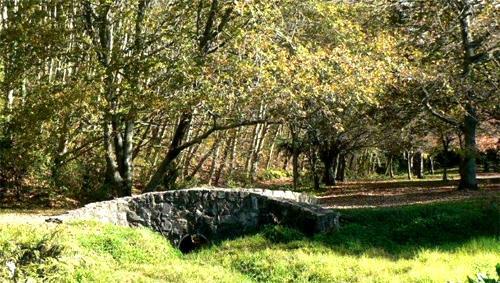 The stream is criss-crossed by numerous bridges, including a stone bridge, that have been constructed as Rotary projects. 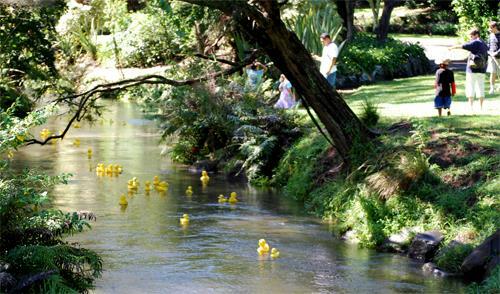 The Ruruanga stream has also been the scene of duck races run by Kawerau Rotary to raise funds for local organisations. Further down the stream and close to the main road is the Keith McKenzie Rotary Park, an attractive area for a picnic. Another big project has been the reclamation of 100 acres in the centre of town. This has involved the clearing of plant pests and exotic trees and replanting with native trees and shrubs. 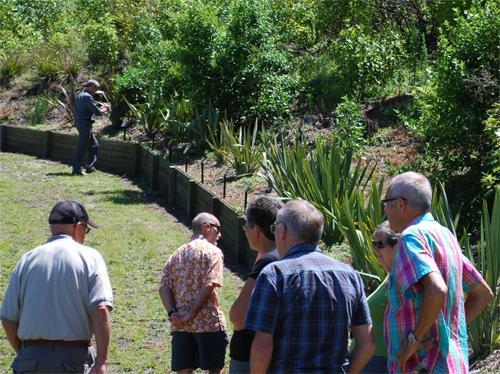 The Kawerau Rotary Club worked alongside the Council to raise the trees and shrubs from seed and plant them in the cleared area. 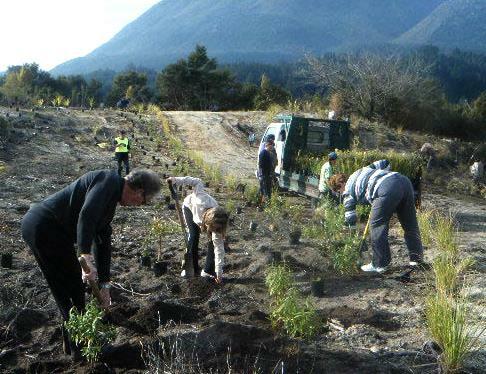 The planting was often done as a joint effort with other local Rotary Clubs. This area has been named the Monika Lanham Reserve and has four walking tracks with panoramic views over the town. In acknowledgement of the work done by Rotary one of the entrances is called the Rotary Entrance. As well as Community projects the Club is also heavily involved in many Rotary International initiatives, particularly those involving Youth, such as the International Youth Exchange, Summer Science Schools, RYLA and Outward Bound.